How Does Geometry Explain the Phases of the Moon? « Adafruit Industries – Makers, hackers, artists, designers and engineers! As you’ve probably noticed, the Moon doesn’t always look the same. In fact, the Moon goes through a “moonthly” cycle lasting about 29.5 days (yes, that’s where the word “month” comes from). 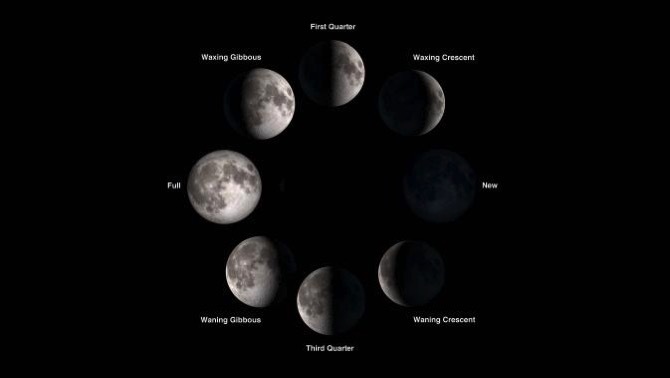 This cycle takes the Moon through its full range of phases and eventually leaves it back in the phase it started in. As you’ve probably also noticed, the Moon is occasionally visible during the day. In fact, if you’re paying attention, you may have noticed that it’s visible during the day a lot. But it’s also sometimes only visible during the night. And if you are really paying attention, you may have noticed that there’s a relationship between when the Moon is visible during the day or night and its phase. What’s behind this relationship? What determines what time of day the Moon is visible? And what causes the Moon to change phases in the first place? The answer is math—and, in particular, geometry. The first two segments taking the Moon from what’s called the new phase up to the full phase are called the “waxing” (which means growing) portion of the cycle. A new Moon is completely unilluminated from our vantage point here on Earth, therefore we can’t see it. From its new phase, the Moon moves through its waxing crescent phase until it reaches its first-quarter phase (so called because it’s 1/4 of the way through its cycle). In the first-quarter phase, the Moon appears half-illuminated. 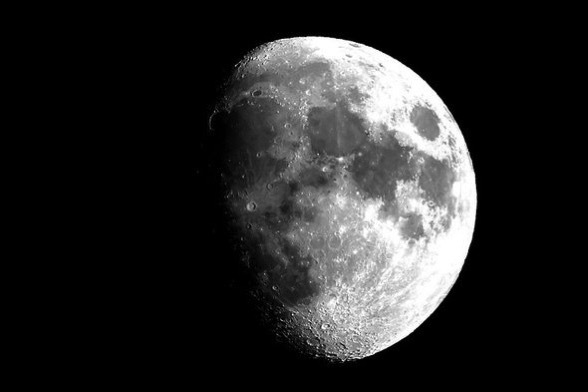 The Moon then moves into and through what’s called the waxing gibbous phase (when it’s between half-full and full) until it finally reaches its full phase and is completely illuminated. Comments Off on How Does Geometry Explain the Phases of the Moon?